Let's find the Yoga Package that's right for you! With One-On-One sessions, you'll receive a customized practice that suits your health, lifestyle, and schedule all in the comfort of your home or office. Teachings, modifications, and weekly On Your Own assignments are designed to help you cultivate your own practice and support you as you reach your goals. Sessions are $75/hr; receive a free session when you sign up for a package! 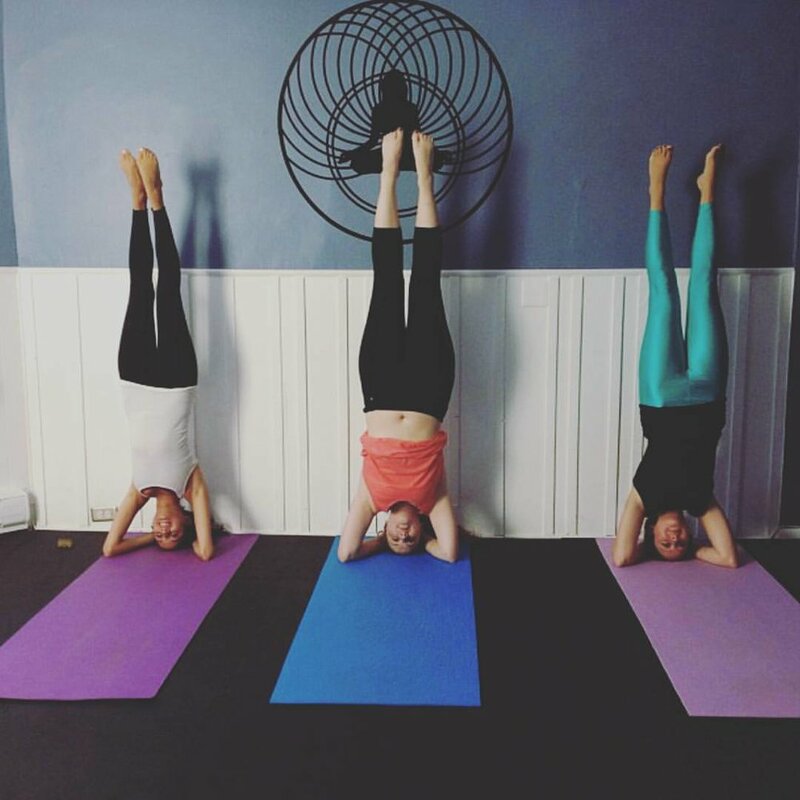 Bring friends and family together for your own personalized yoga class! Whether you want to support each other on a journey towards better health, unwind after a long work week, or enhance your team's sports performance, small group sessions are a fun way to relieve stress and get in shape with the people you care about. Sessions are $95/per duo; $20 for each additional yoga buddy. Looking for Corporate or On-Campus options? Interested in practicing with me Online?